You'll want to know what I planted, I suppose. I'm an old fashioned girl, raised on Simon and Garfunkel, so you know what I planted. Except for the rosemary. No need. 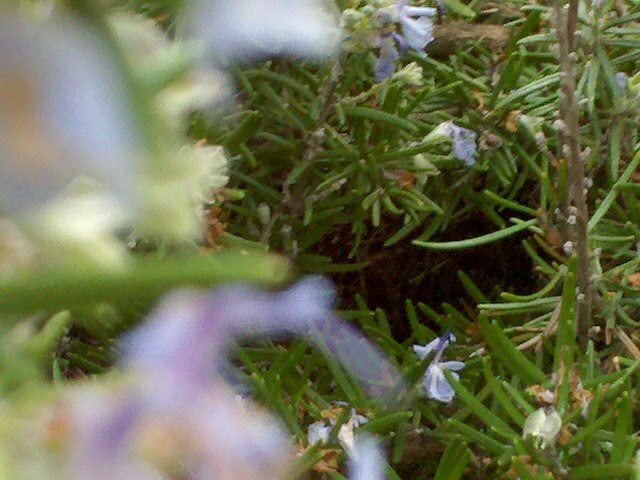 There's a lot of rosemary in Seattle. And some of these bushes are nearly as big as trees. I have this feeling that if you have more than a square foot of dirt under your control and you don't have rosemary, you ought to be looking over your shoulder. Something about the way the rosemary looks at me as I walk by, I guess. Rosemary doesn't mess around. It makes small, practical flowers. It puts out a powerful scent. It handles drought and water with equal aplomb. It's not invasive like mint or ivy - that would be, well, rude. But it's quite serious. Actually, I wonder if maybe there's only one rosemary plant in this city. And the roots go way, way down. Sure, take some sprigs as you walk by. No problem. The rosemary has plenty to spare. It's not afraid of you and your little fingers. It'll just make more. I see rosemary, I nod respectfully. And it's great for keeping away several pests, too. Which pests? I find that annoying people talk to me even when I just dowse myself in rosemary. Maybe I'm doing it wrong?